United Voice: A Manchester United Blog: Oh God. Oh God, No. Oh God. Oh God, No. Quick game analysis: Watching the first 30 minutes or so I had no doubt that we would start this season off to a flyer. Dominating possession, creating chances left and right, I was just waiting patiently for the breakthrough. Then the minutes dragged on, then Rooney went down and I immediately thought the worst despite him continuing to play the half, then Nani came on for him and it was clear that we we're lacking that finishing touch. We looked like Arsenal. Ugh. Full credit to Reading, they were organized and played "bend but don't break" defense. Kitson red card was a bit harsh on replays but referees don't make decisions on replays they make em' on what they see in real-time and in real-time that challenge looked nasty. First game of the season at Old Trafford is a daunting task and no one wants to start off with a loss so you can't blame them for putting 10 behind the ball. Moving on to the more important matter: It's not enough that we absolutely dominate Reading for 90 minutes and even with an extra man end up with a draw, no it's not enough. The boy wonder just has to go and get injured. Out for 3 months could be a legitimate possibility. 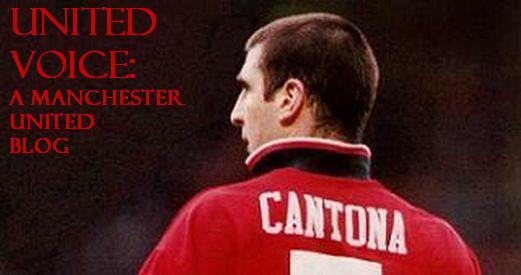 I'll make this very clear, there is no single player that we couldn't have afforded to lose to injury more than Rooney. If Ronaldo goes down, PFA award and all, we at least have Anderson and Nani to fill in. If Scholes or Carrick go down, we have Hargreaves or Fletcher (yes, he really isn't that bad). But Rooney, that's a whole other story. Riddle me this, how is it that currently the only available strikers we have are Carlos Tevez and Dong Fangzhou? DONG EFFIN' FANGZHOU. Nothing against the guy, he sells a lot of jerseys abroad and maybe he'll be good in a couple years, but no way is he ready to contribute to this years campaign. In contrast you have Giuseppe Rossi, a guy who lit up the Reserves two seasons ago and has been chomping at the bit for a full season now. Oh and in his spare time he also scored 9 goals in half a season for Parma. Now how exactly do you bid 10 million pounds for Quagliarella, who scored 11 goals in a full season in Italy, while letting Rossi go for 6 million? Are you meaning to tell me that the conversation where SAF tells Rossi that he's gonna let Smith go to Newcastle and he needs him to play this season because Saha is made of glass and Solskjaer is on his last legs never happens? Really? Me feeling Rossi was hard done by aside, this is a team that is playing on 4 fronts. The fact that Saha and Solskjaer are only temporarily injured shouldn't be taken lightly. SAF knew that he would only have Rooney, Tevez, and Fangzhou to start the season (and actually the Tevez deal wasn't even finalized by then) when he decided to sell both Smith and Rossi. Just like how currently we don't have to sell Heinze, we didn't have to sell Rossi. It just doesn't make sense. Looking for solutions: Enough ranting. No crying over spilt milk, well maybe a little crying. I'd like to see Frazier Campbell called up and given a shot, I think he can contribute more than Fangzhou (still can't understand why he isn't out on loan to a Championship side like Arsenal did with Bendtner last year). 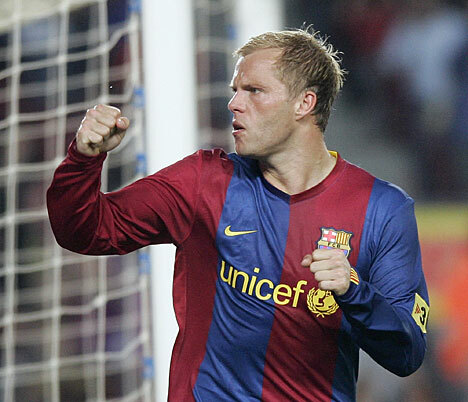 Also let's not forget, the transfer deadline is August 31st and rumor has it that Eidur Gudjohnsen is available. All for now, cheers.